Often times, when a dress needs taken in, it can be cinched in at the zipper. Many dresses are different, but may be similar enough to follow these directions. Use these as a guide, but, make sure you inspect how your garment is made and how to put it back together when complete!! This particular garment has no lining, but it does have a small facing. Have someone (who isn't wearing the garment) fit and pin how much fabric needs to be taken in (the safety pins below mark where I need to take in). Open up the facing or lining, partially or fully remove your zipper depending on how much needs to be taken in (I had to fully remove the zipper because it needs to be taken in below the zipper as well). I re-pinned the lower pins so that I could see them on the inside and then easily remove them after I mark. Turn the garment inside out. Work with the area below the zipper first. 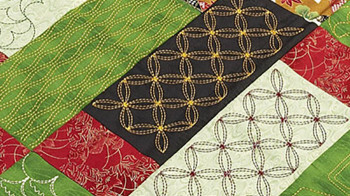 Mark the line you'll need to follow to sew and then sew your line with a standard machine stitch. Sew from end of zipper to then fade out or all the way to the bottom, again, depending on how much needs to be taken in for how long down the length. Here is the line sewn below the zipper (sorry picture isn't that great). This is the garment turned inside out. You can see the pins...this will guide you to draw your line. The picture below shows the drawn line following the pins. Pin on the side where you drew your line. I then baste that line and iron open the seam well and then open up the basting (this ironed seam helps you line up your zipper). Here it is ironed open. Pin and line up zipper (I don't normally pin this way; it's just easier with the invisible zipper foot). Centered zippers are a little bit different, but not so much, just study it and how you'll need to re-apply it at this step. 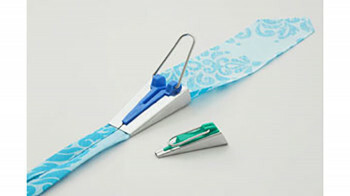 If you're using an invisible zipper, use an invisible zipper foot; if you're using a regular zipper, use a zipper foot. Sew zipper in place (I like to baste the invisible zippers first to make sure that the seams and upper edges line up and then stitch it in place). One side done, one to go. Now, do the other side. 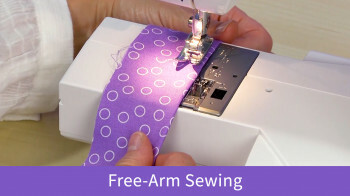 After the zipper has been sewn in, if you are using an invisible zipper, you may have to stitch on the seam at the base of the zipper if you couldn't stitch the zipper all the way down. 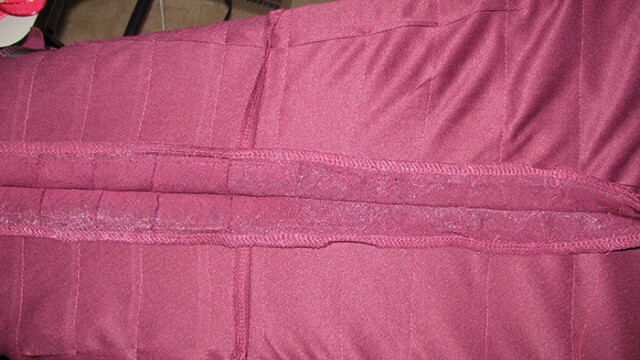 Then, pin your lining or facing in place and hand-stitch closed. Here is the facing hand sewn to the zipper tape. Replace your hook and eye if necessary and your done! Let me know if you need clarification on anything or if you have any tips as well!